Note: New concept in Japanese rice bowl restaurant. They use torch to melting their special sauce cube with torch in front of you. 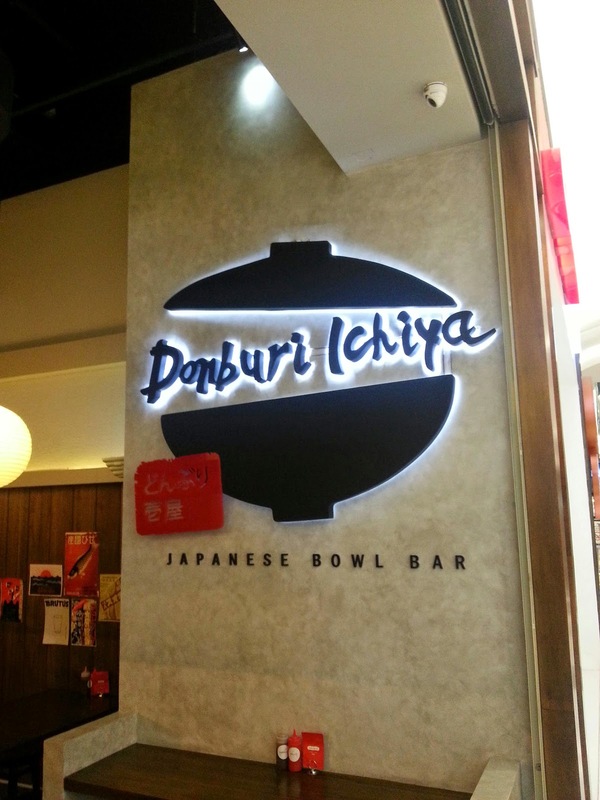 They serve regular and mini size rice bowl. 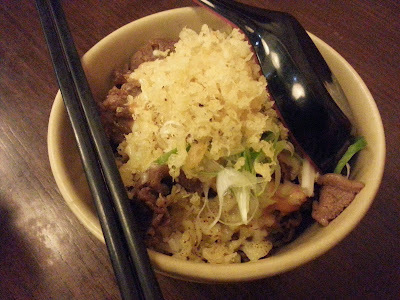 Gyu Don come with a rice bowl topped with sliced beef simmered with special salty sauce and spring onion. Taste good and tasty. 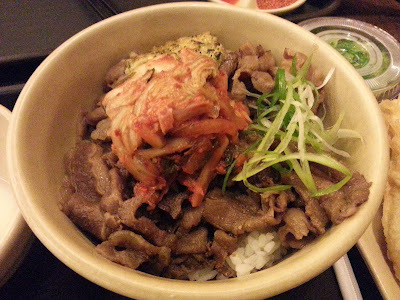 Kimchi Gyu Don come with a rice bowl topped with sliced beef simmered with special salty sauce, kimchi and spring onion. Taste good and fresh. Garlic Butter Yakitori Don come with a rice bowl topped with Japanese style grilled cubed chicken and spring onion. 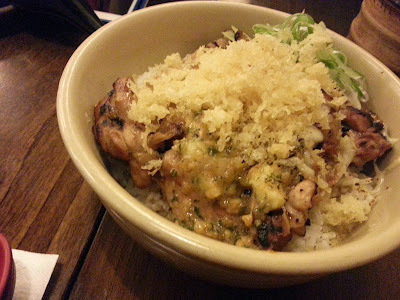 Taste good and nice. 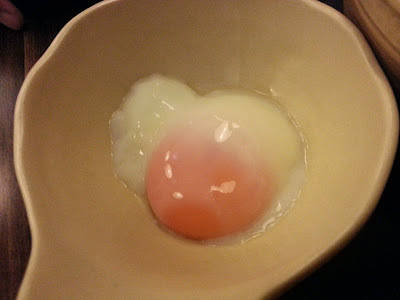 Onsen Tamago come with half boiled egg. Taste nice and fresh. 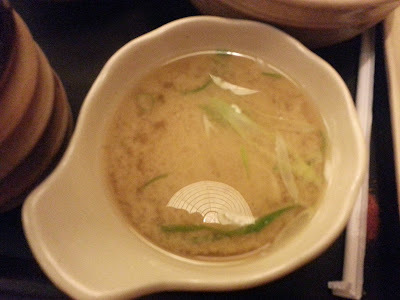 Miso Soup come with Japanese fermented bean soup. Taste good and warm. 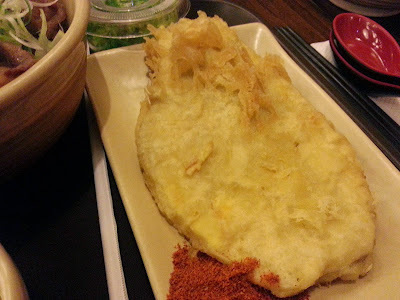 Sweet Potato Tempura come with deep fried flour battered sweet potato. 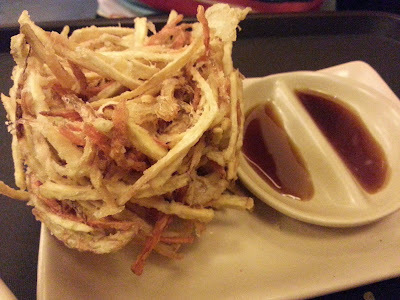 Taste nice and sweet. Kakiage come with deep fried flour battered vegetables. Taste nice and fresh.